You can easily identify songs with hefty guitar solos and riffs, and you can usually tell what sort of skill level you need to learn to play those songs. Guitar is often the forefront of almost every genre of popular music – pop, rock, country, and more – so those who prefer the strings can usually find songs to learn fairly quickly. But what about drummers? 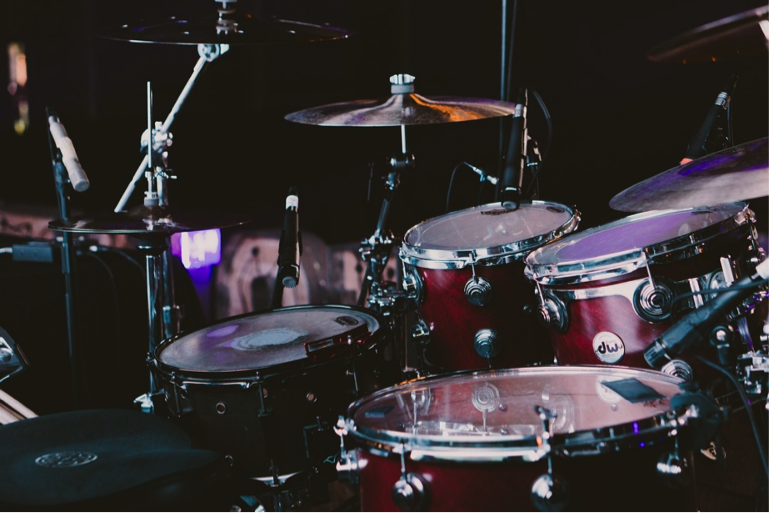 Learning and playing the drums requires a good bit of stamina and skill, but identifying drum types and patterns within a song to discern if you have the ability to play it can be a little harder. Unless you are advanced enough that you can pick out the individual drum sounds and form the idea in your mind of how it might be played, it is not as easy for beginners or those just learning to play. This list is for all the drummers out there looking for good, easy songs with a solid drum sound. This is a classic pop song that almost everyone knows. The beat is easy and catchy, making it perfect for beginners to catch on pretty easily. The beat it uses is called the “Money Beat”, and it’s been used in many, many songs throughout the years. Learning and practicing this song will help you learn more songs in the future, even if you’re (understandably) out on MJ. This is not Oasis’ most popular song, of course, but it is well known for its drum introduction. With a relatively easy beat and a good transition from backbeat to snare drum, it is a great song for beginners to learn that is a little more advanced than a simple 4/4 beat. It moves from backbeat to floor tom to snare throughout the song and steadily increases in volume, so it is good for learning a range of techniques. Besides, who doesn’t love the sound of snare drums? Dave Grohl is an incredibly popular drummer and has maintained a good standing amongst drummers throughout the years. The sound he achieves and the techniques he uses throughout Nirvana’s “Heart Shaped Box” are great for beginners to learn, including rim clicks and playing the cymbals in time with guitar beats. This is a really good song for practicing little technical elements and methods of playing, and it’s also just a good song. This is one of the most iconic songs of the ’80s and to this day is a popular choice for beginners hoping to master rhythm. For most of the song, the beat is simple and uncomplicated, and the tempo is easy to keep up with. There are a few special flares and tricks in the chorus and the middle of the song, but overall the song is easy. Once you master the basic beat, then work on the special tricks to add into your repertoire. This is a perfect song for beginners. The drum line is mostly keeping in line and on beat with the guitar line, so it’s a great way to master rhythm and a solid beat. There aren’t too many extra tricks because the song generally focuses more on the guitar, but it’s a great song and an easy one for drummers just starting their journey. A lot of classic rock songs are the perfect way to begin to learn the drums because they often have a solid beat and rhythm line that make it easy to master the instrument. From there, you can start to learn special tricks and fun things, but this list is just a way to get you started on your rock and roll journey.